Fish is one of the good sources of protein for the body. Besides high protein, fish also contain omega 3 fatty acids which are useful for brain growth. Fish also contains calcium, vitamin D, and phosphorus. Not only that, fish are also rich in vitamins and other minerals, such as vitamin B2, iron, zinc, iodine, magnesium, and potassium. 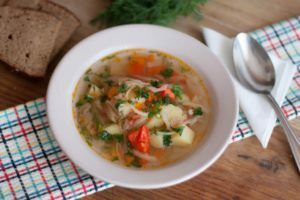 Many Russian foods that contain fish as main ingredient. Fish contain protein, vitamins, and minerals that can help lower blood pressure, reduce the risk of heart disease and stroke. The content of omega 3 fatty acids in fish is very good for heart health. A study also shows that consume can reduce levels of fat in the blood, thereby reducing the risk of heart disease. Kefir is a fermentation of milk and kefir seeds. This drink usually made from cow or goat’s milk. Kefir seeds are made from lactic acid bacteria, yeast, and polysaccharide substances. In terms of shape, kefir milk is similar to yogurt which is thickly textured, and the sour taste is also real on the tongue. This probiotic drink is rich in Lactobacillus acidophilus and Bifidobacterium bifidum bacteria. In addition, there are good nutrients for the body such as vitamin B, vitamin K, folic acid, potassium, magnesium, phosphorus. Fermented drinks have been shown to kill tumors and cancers. The content in kefir is also can increase the immune system. Thats why kefir is one of the Popular drinks in Moscow during Ramadan, even this drink include halal drinks in Russia. Although kefir is made from milk, the fermentation process used in the manufacturing process makes it free of lactose bacteria. 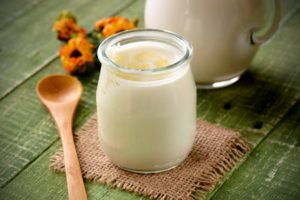 Kefir milk reduces symptoms such as flatulence, abdominal pain, and diarrhea, which often occur in people with milk allergy. Mushrooms are rich in antioxidants that cleanse the body of free radicals. Free radicals in the body have the potential to cause cancer. Beta-glucans in mushrooms are also used as one of the chemotherapy or radiation therapy treatments. Even though it does not kill cancer cells, beta-glucans help boost the immune system, thus inhibiting cancer cell growth. In addition, beta-glucans also overcome the side effects of nausea due to chemotherapy or radiation therapy. Cabbage contains many nutrients needed by the body such as vitamin C, E, and K, sulfur, beta carotene, potassium, magnesium, and calcium. This vegetable even contains more vitamin C than oranges. One of the components in cabbage is glutamine, one of the most important amino acids to maintain healthy muscles and lungs. Glutamine is an anti-inflammatory substance. Eating foods rich in glutamine can reduce allergic effects, joint pain, muscle aches, fever, and skin problems. Newly born mothers can use cabbage to reduce breast pain after giving birth. Cabbage is a staple for making some delicious Russian foods. Such as shchi, blini, ukha, and so on. Potassium in cabbage will help loosen blood vessels and improve blood flow. This will help control blood pressure levels. Indirectly controlling blood pressure will reduce the risk of stroke and heart attack. Vitamin K protects nerve damage and improves brain health. This is important for the process of blood clotting and the production of certain proteins in the body. By protecting the nerves, vitamin K will prevent brain diseases such as dementia. Not only that, anthocyanins in red cabbage are also rich in antioxidants that can reduce the risk of cancer and maintain healthy brain or nervous system. Kvass is a type of fermented beverage derived from fermented bread or wheat, especially the type of rye. The name “Kvass” itself comes from Russian which means “acidic drink”. Like other fermented drinks, kvas are fermentation of microorganisms. They are Saccharomyces yeast and lactic acid bacteria. Based on Russian standards, kvass is non-alcoholic drink because the alcohol content is very low (less than 1.2 percent). The color of this drink is dark brown with foam like beer, most delicious to drink in cold conditions. The history of kvass drinks in the lives of the Russians dates back far, starting more than a thousand years ago. At that time kvass was a ‘must’ drink that always accompanied the daily meals of Russian farmers. Farmers began to drink kvass because of poor sanitation at the time. Because, the process of fermentation of these drinks proved to be able to kill germs in the water they use. In addition, modern research shows that fermentation of kvass also produces a high nutritional. Its content vitamin B, vitamin B2, lactic acid, and various amino acids. This nutrient content in the skin seems to make Russian farmers not have nutritional deficiencies even though their main diet is cereals and vegetables. Beet is a plant that comes from the Amaranthaceae-Chenopodiaceae family. That is, beets are still one family with radish. Generally, people only use beet root for medicine. But over time, they also consume fruit flesh and leaves. African was the first people that consume beet, thousands of years ago. The fruit roots are so popular in Asia and Europe. Then, these people cultivate and consume them in their area. In addition to beet leaves as vegetables, beet root also contains many health benefits. Beets contain high carbohydrates but the fat, calories and protein content is very low. So it’s very good for those who are on a diet program. The content of betasianin (purple pigment) and betasantin (yellow pigment) found in these beets makes the color dark purple. Because of this dense color, beets become natural food coloring. 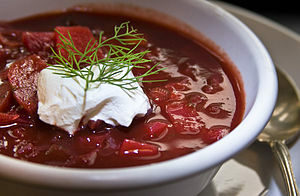 Thats all healthiest staple foods of Russian cuisine. If you will stay in Russia, don’t worry about the foods. There are also Halal Foods that Muslim can consume in Russia.